The buzz in the red-hot battery market centres on lithium, but that doesn’t mean the lightweight alkali metal is the only game in town. Tucked into the fourth row of the periodic table, slotted in among an unassuming mass of transition metals, vanadium is another high-potential element with its own unique properties, and an equally encouraging value proposition. Unlike lithium-ion devices, vanadium-based batteries will never power your cell phone or laptop—and you’re unlikely to ever find one tucked under the hood of your electric car. While mobile applications aren’t their niche, for large-scale storage projects and microgrids—both fast-growing segments of the renewable energy and utility markets—vanadium batteries offer a range of appealing features that could see the technology chip away at lithium’s dominance of the storage space. Vanadium battery research traces back four decades. 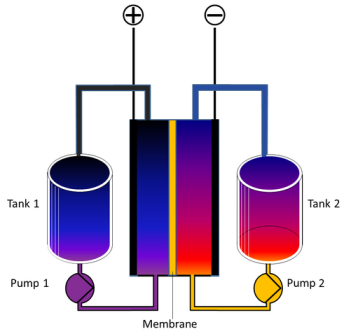 Beginning with NASA’s exploration of the technology in the 1970s, a University of New South Wales research team led by Maria Skyllas-Kazacosthe first successful demonstrated a vanadium redox flow battery (VRB) a decade later. Known as “flow” batteries for their use of liquid vanadium electrolyte as opposed to a solid electrolytic material, the batteries charge and discharge by pumping electrolyte solution through a cell stack, which converts stored chemical energy to electrical energy through a chemical reaction, or vice versa, if charging. Skyllas-Kazacos compared how the technology produces energy to how a diesel generator churns out electricity. Like an engine-generator, which uses a certain-sized generator to produce energy by consuming a fixed amount of fuel, flow batteries use stacks to produce energy from their fixed supply of electrolyte. Like generators, the batteries can be made longer-lasting by simply adding more electrolyte (the equivalent of installing a larger gas tank), and more powerful by increasing the number of stacks (the equivalent of installing a larger generator). While its scalability is one of its distinguishing features, what truly sets a VRB apart from a lithium-ion battery is its ability to be recharged thousands upon thousands of times without becoming degraded. Hennessy noted that while traditional batteries will all eventually “kill themselves over time” as a result of the multiple elements they use becoming cross-contaminated, vanadium is able to cycle endlessly. Skyllas-Kazacos pointed out that megawatt-scale VRBs have already been exposed to as many as 200,000 cycles without degradation. This is in stark contrast to lithium-ion batteries that generally last several thousands cycles at most. For this reason, VRBs are better-suited than traditional batteries for projects that require an immense amount of cycling, such as demand response power projects and microgrids. Meanwhile, like other batteries, VRBs can be completely emissions-free—assuming the energy used to charge them is renewable. Vanadium flow batteries do have limitations as well though—most significantly their relatively low energy density. Despite significant recent advancements, VRBs are not capable of packing as much energy into as small a space as lithium-ion batteries—meaning the technology is best used for projects where space is not a determining factor. Lithium-ion also outpaces flow batteries in terms of round trip efficiency. According to Hennessy, while the best vanadium batteries currently record efficiency ratings of 80 per cent, lithium-ion can be 87 per cent-efficient. Despite the slight edge, the COO thinks lithium-ion batteries’ declining performance when they are deeply cycled more than offsets this advantage. “If you need a battery that is long-duration, a battery that can operate at low temperatures and high temperatures—lithium can’t do that, lead can’t do that—vanadium flow batteries, in particular ours, can do that,” he said. From reinforcing the chassis of Henry Ford’s Model T, to supporting the recent building boom in China, vanadium has been used as important steel strengthening component for more than a century. Though battery developers are beginning to carve out a piece of the vanadium market for themselves, steel producers currently buy the lion’s share of the metal. Still, there is no risk a rising market for batteries would exhaust the abundant supply. 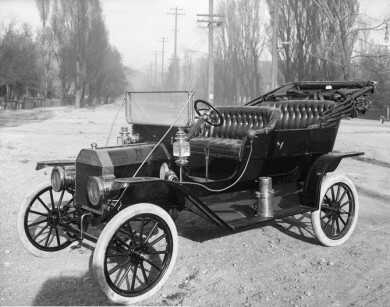 The chassis of Ford Motor Co.’s landmark Model T incorporated vanadium steel. Today the element is used to strengthen steel alloys in a wide range of products from tools to building components. Home to particularly high-grade deposits, South Africa is currently the centre of the global vanadium mining industry. Nevertheless, there are numerous regions, including in central Quebec, that offer attractive reserves closer to home. Canadian mining firm, VanadiumCorp Resource Inc. for instance, is actively working toward the development of its Lac Dore vanadium project outside Chibougamau. As microgrids and renewable energy projects boom, storing power during off-peak times is quickly becoming a global priority. Over the past decade, lithium-ion technology has emerged as the dominant player, amounting for a full 96 per cent of the U.S. market in 2015, according to GTM Research. 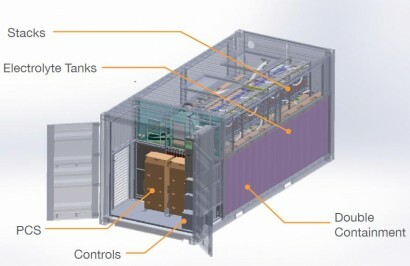 Though vanadium batteries will never challenge lithium’s stranglehold on the mobile devices market, its ability to be cycled thousands of times without degrading and scaled up or down to match the scope of a specific project could translate to significant penetration in the medium and large scale storage market.